Olympique Lyonnais may have made it into the final sixteen of the Champions League, but they now have quite the battle on their hands, having been drawn against FC Barcelona. 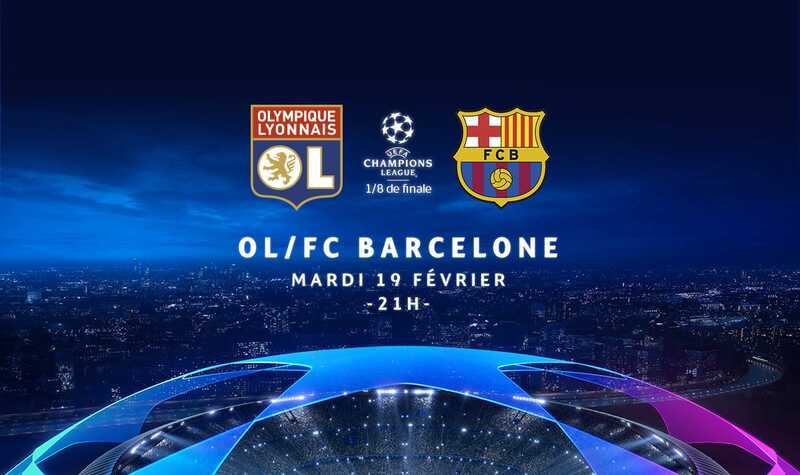 Barcelona FC will visit Lyon’s Groupama Stadium on the 19th February 2019 to play against Olympique Lyonnais in the last 16 of the Champions League. Following this, Olympique Lyonnais will then travel to Barcelona to play at their ground on the 13th March. The side with the most goals on aggregate will go through to the next stage. This match promises to be exciting, so be sure not to miss it. Given the profile and importance of the match, it is unlikely that the public will be able to get any tickets, as tickets have been reserved for season-ticket holders and MyOL card-holders. Yet that’s no excuse to miss out on the action – get in some drinks and get your friends around you ready for kick off at 9pm.